This renovation project is located in Columbia County in upstate New York and added another 900 s.f. to a small existing cottage from the 1880's. The premise of the design focused on maintaining the look of an old cottage from the exterior while modernizing the interior and doubling the useable area. 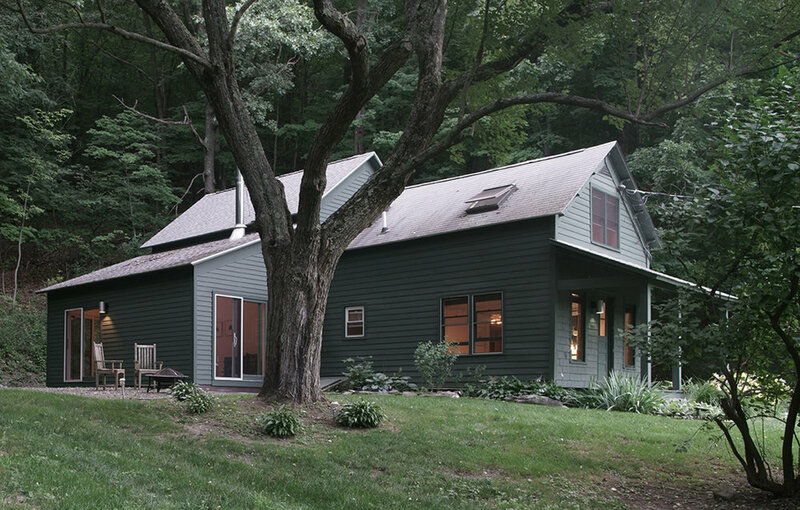 The new square footage was mainly located to the rear of the existing cottage so that much was hidden from view. The original rooms flow into the new spaces to create a modern and open feel allowing natural light to penetrate throughout especially in the morning hours. The house weaves together old farm house doors and hand hewn beams together with custom stainless guardrails and polycarbonate doors to reflect how the richness of old and worn design elements can coexist with those that are more modern and contemporary.